Mention, Bitly, Later, Buzzstream, and The Shelf have come together to create a one-of-a-kind influencer marketing portal. 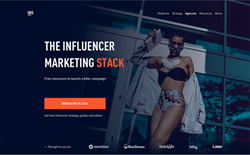 Launched November 16, the Influencer Marketing Stack features expert advice from trusted companies, plus renowned marketing consultant Shane Barker. "Influencer marketing has established itself as a mainstay of modern marketing because when it’s done right, the impact is big and it translates to sales in a measurable way." - Matt Smith, Later. Market leaders Mention, Bitly, Later, Buzzstream, and The Shelf have come together to create a one-of-a-kind influencer marketing portal. 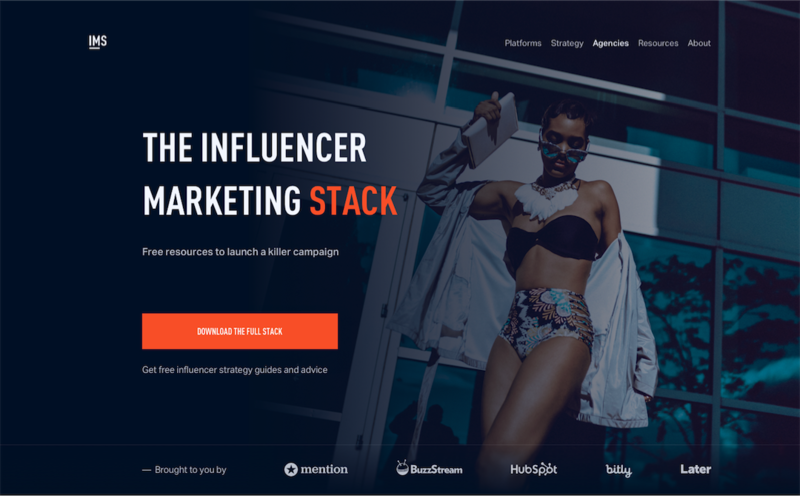 The Influencer Marketing Stack features expert advice from trusted companies, plus renowned marketing consultant Shane Barker. Launched November 16, the IMS went straight to the number one spot on Product Hunt, and saw more than 5,000 users in its first day. "There is so much dubious marketing advice available online, particularly around influencers," said Mention CEO Matthieu Vaxelaire. "We wanted to make good influencer marketing advice easier to find." Later CEO Matt Smith detailed the company's passion for this subject: "Influencer marketing has established itself as a mainstay of modern marketing because when it’s done right, the impact is big and it translates to sales in a measurable way." In short, any marketer looking for influencer marketing help need look no further. Mention is the number one media monitoring and social listening tool in the world. Buzzstream helps PR and marketing professionals find influencers and connect. Later is the leading automation tool and marketing platform for Instagram. Bitly lets users create custom links to track and analyze marketing campaigns. The Shelf is a specialized influencer marketing platform and agency. Shane Barker is an award-winning marketing consultant. For more information, please contact Joei Chan at Mention (joei@mention.com).